Encryption is a smart way to keep data secure. There are a couple of ways to do so and one that is very effective is the use of a password. The number of documents that can be secured using a password are diverse and discussed herein is how to password protect a PDF. The methods discussed are some of the simplest ways to achieve password protecting PDF. Whether on Mac OS or Windows PC, these methods will work on any operating system without any difficulty. To password protect PDF you will find the best tool that makes the whole process fast and simple. Albeit, to password protect a PDF on a PC, software will come handy to make the whole process easy. One such software that has been suggested by users across the globe due to its convenience is the iSkysoft PDF Editor 6 Professional for Mac (or iSkysoft PDF Editor 6 Professional for Windows). This software has many other capabilities that make it an exceptional than others like customizing PDF, with editing capabilities and password protect PDF is the "Protect" function. The software is easy to use, understandable and the interface is user-friendly. You will first start by downloading the software. Get the software from the iSkysoft official website and proceed to install iSkysoft PDF Editor 6 Professional. Launch the software to add password to PDF. Whether on the Homepage or Top Menu, there is an option to import the PDF you wish to password protect. Drag and drop it on the software interface to open it. Alternatively, you can use the "Open File" on the software Homepage. After which, you will have to browse and locate the PDF on your device. The last option is using the Top Menu. 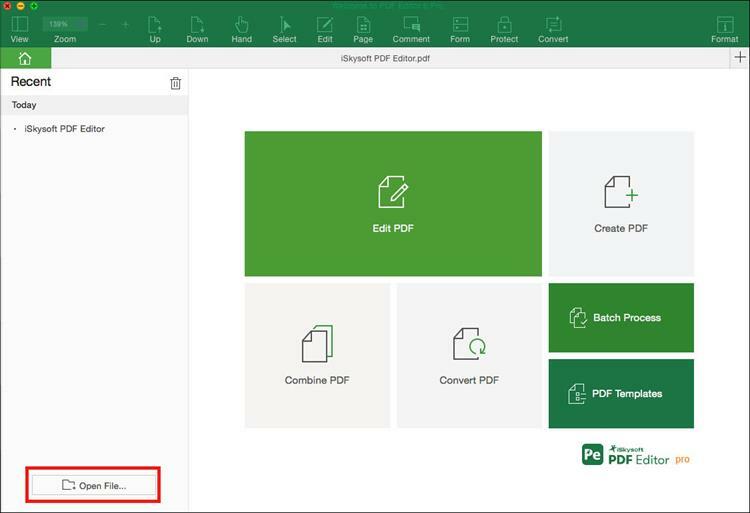 On the Top Menu, click on "File" to either select "Open" to open the desired PDF file or "Open Recent" to open a PDF that had just been created, converted or edited. Once you have got your PDF open, it's time to initialize the process on how to add a password to a PDF. On the software toolbar, select the "Protect" option. Then get the option to either Redact or Password protect the file. Select Password and under Password, use the option "Encrypt with Password to protect the file. 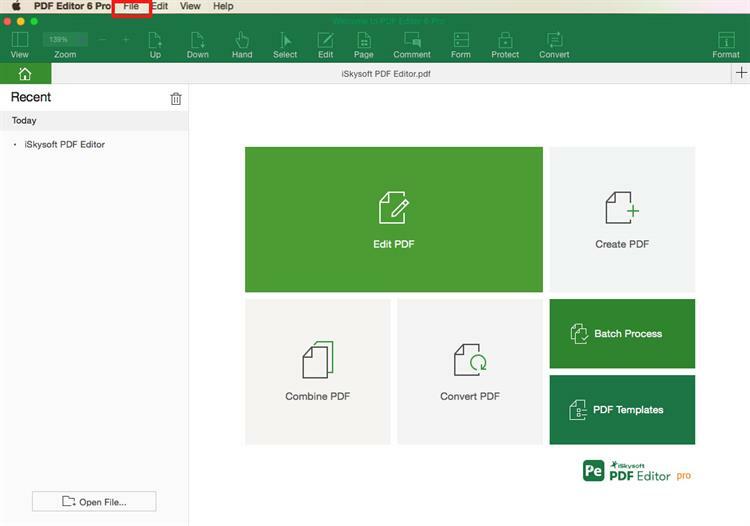 While password protecting a PDF maybe a headache, the iSkysoft PDF Editor 6 Professional for Mac (or iSkysoft PDF Editor 6 Professional for Windows) is designed to make the whole process easy. Not to mention, this is best and easiest way on to password protect a PDF file without Acrobat. With this PDF editor, you not only password protect a PDF on Mac, but it is also the most preferred way to handle each and every PDF task, as well as conversion related work. All these processes have been handled with professionalism and due care is taken to cover each and every aspect. Unlike other software that are plainly built, the iSkysoft PDF Editor 6 Pro has got an inviting admin console or interface that is easy to navigate through. Simply run the mouse curser over any feature displayed to see the function. 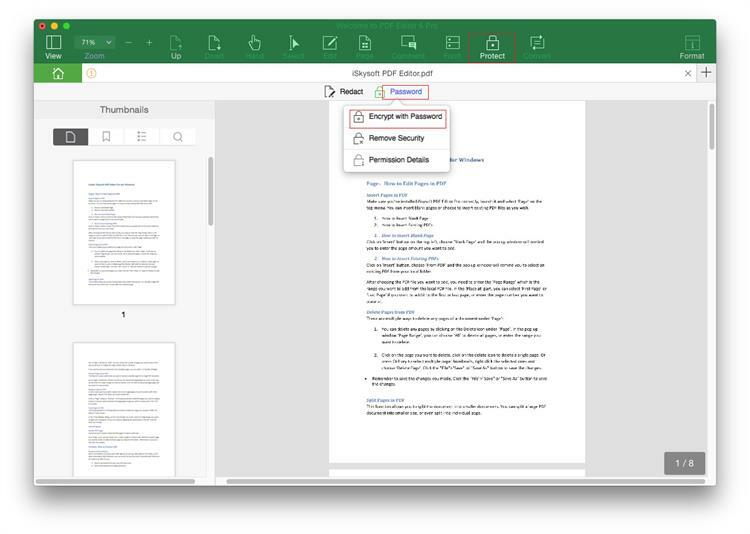 Efficient in protecting PDF, editing, OCR, and markup the PDF. It comes in a lightweight design, not taking up much space either and is very fast in response and performing of tasks. The software is powerful, you can use the software for batch processing or multi-activity. You can organize and create a PDF form. Teaming with options on how to password protect a PDF on Mac, one may be baffled on how to go about the whole event. 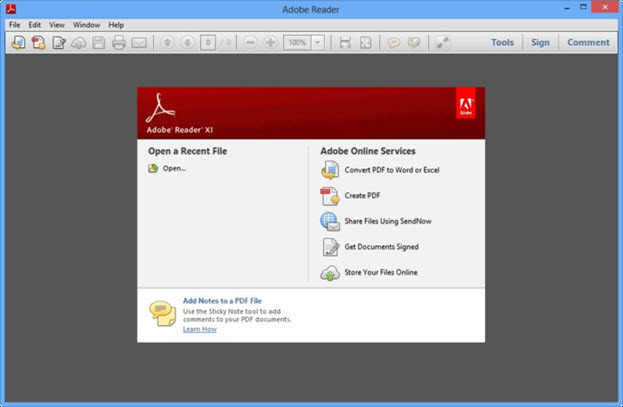 At such an instance another good option to secure the PDF using a password will be using the Adobe Reader utility software. Note that this procedure will apply to Adobe Acrobat DC, while those having other versions may need to seek help or from Adobe to know more about the process. Step 1. If you have got the software launch it and proceed to click on "Tools". From the given options, you need to choose "Protect" after that select "Encrypt". At Encrypt, you will select the choice, "Encrypt with Password". A prompt may be displayed on the screen and hit "Yes" to proceed. Step 2. To create the password, you will first have to select and check on the box with "Require A Password To Open The Document". You may then type the password you wish to use. Step 3. After creating the password, you will then have to proceed and select the compatibility of the file to Adobe Acrobat. The encryption used is determined by the compatibility. You will have to choose a version compatible with the recipient's Acrobat version. Step 4. You may also select the encryption option by checking the corresponding boxes to encrypt the documents contents, File attachments etc. Click Ok and proceed to confirm the password to finalize the process. With the thought of how to set a password on a PDF especially if you are working on small files there is no need to download any software as the online option is a better way. 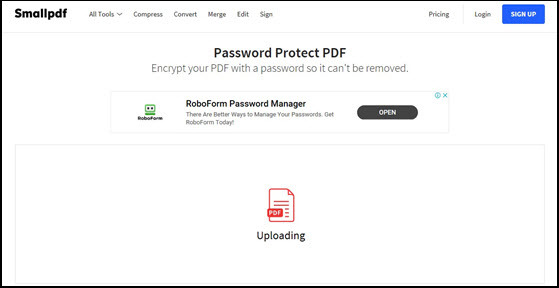 You can make PDF password protection online using the tool SmallPDF. Besides that you can also use Google docs password protected for PDF that means the tool can be used to encrypt files on Cloud. Step 1. Start by visiting the site https://smallPDF.com/protect-PDF in order to use the tool. Step 2. Choose or upload a file, whether from Cloud or local folders. Step 3. After uploading the file, create a password hit the "Encrypt" button to encrypt the file and wait for the online tool to secure the file. Step 4. Once the process is over, you may proceed to download your file. Step 1. This method is used when composing a Message. So, you will first have to go to the Options and the More Options on Outlook. Step 2. Select the Message Options. With the dialogue box provided on the screen, choose the Security Settings option. Step 3. You will then have to check the box with "Encrypt message contents and attachments". Proceed to send the file. Step 1. 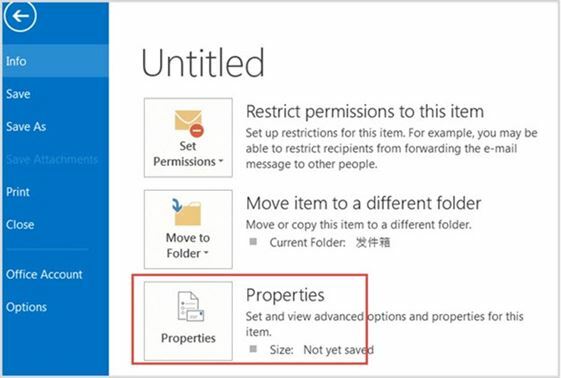 While on Outlook, go to the File tab and select on Options. Click on Trust Center and proceed to select Trust Center Settings. Step 2. 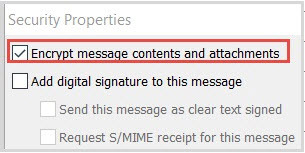 On the option Encrypt Email, select "Encrypt contents and attachments for outgoing messages" from the choices provided. Step 1. Go to File>Visit the Properties. First, go to the File>then click on Options> visit Trust Center> then Trust center Settings. After that Email Security> then enable Encryption for Messages and attachments. Utilizing this method will encrypt the message and the contents in it, including attachments. For the option on encrypting Outgoing messages and attachments, all message and attachments sent will be encrypted. Conclusion: For various official or business purposes you may any time need to keep the PDF as password protected. In those scenarios going through this guide, will help you in the right direction. In this article we discussed the 4 best ways to password protect a PDF file. 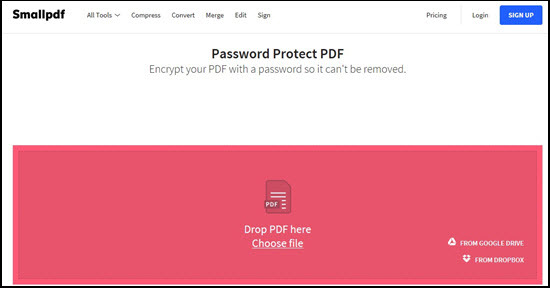 Out of the 4 listed methods, we recommend iSkysoft PDF Editor 6 Professional for Mac in terms of efficiency and best results in password protecting a PDF.